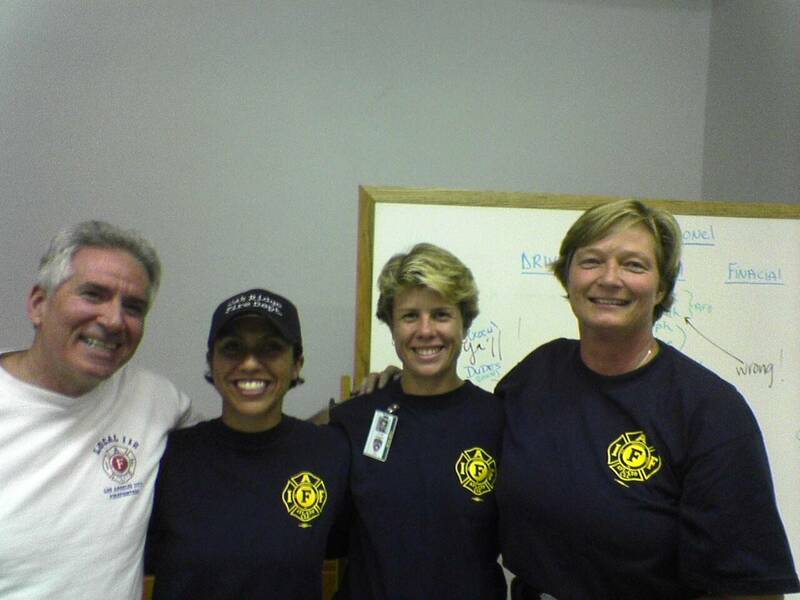 Hurricane Katrina | Dr. Scott responds with LAFD CISM Team to support Gulf States Firefighters | Robert Scott, Ph.D. 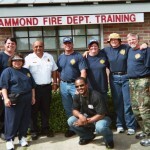 The Los Angeles Fire Department maintains an active Critical Incident Stress Management Program. In the past several years, the program has expanded to include a comprehensive Behavioral Health and Wellness component. 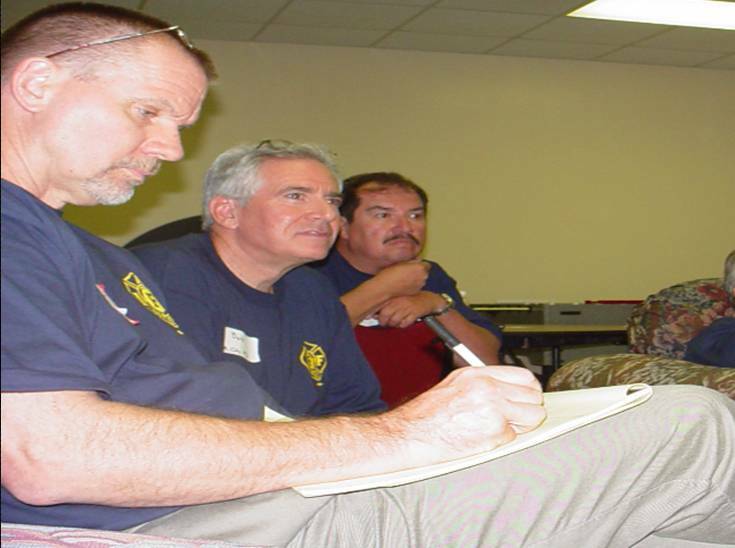 Beginning in the late 1980’s, LAFD took a bold step by hiring a part-time psychologist / consultant and a full-time Program Coordinator to develop and maintain a cutting edge Peer Support and CISM program. As a result of the Department’s strong commitment to psychological support services for its members, LAFD’s CISM / Peer Support Program has gained national attention and recognition. At the present time, Dr. Robert Scott is the full-time Clinical Psychologist and Gwen Duyao continues as the part-time volunteer program Coordinator. The team currently maintains 60 active peer support members. 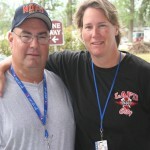 Because of the team’s vast experience and exposure to numerous local as well as national disasters, the International Association of Firefighters has placed the LAFD CISM Team at the top of a priority list of national teams available for psychological support to firefighters in the event of catastrophic national disasters. 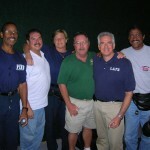 LAFD’s CISM Team was one of the first teams called by the IAFF to be deployed to New York for the World Trade Center bombing. Utilizing an 8-hour shift deployment schedule, the seasoned 23-member LAFD CISM team provided comprehensive psychological support to FDNY members on a 24-hour basis for a period of two weeks. Additionally, the LAFD Team was instrumental in helping to establish the Incident Command System (ICS) that provided the structure, which allowed, 45 IAFF CISM teams from across the country to dispense psychological support services to FDNY members. This two-month, on-scene support effort was a joint multi-agency project, which involved FEMA, the IAFF and it’s local union affiliates as well as the National Fallen Firefighters Foundation. 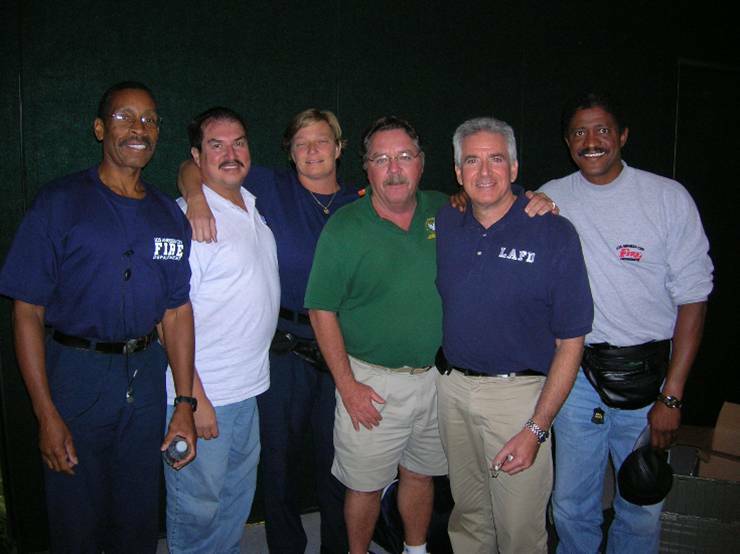 In the aftermath of 9/11, Dr. Scott and his team have maintained strong cooperative professional relationships with the core members of the IAFF’s health and safety committee, including the IAFF’s Director of Health and Safety, Pat Morrision. Dr. Scott remains a consultant to the IAFF’s Behavioral Health Steering Committee. As a result of this on-going cooperative relationship, when disaster strikes on a catastrophic level, impacting firefighters and multiple fire agencies, Dr. Scott is often in immediate contact with the IAFF’s Behavioral Health Steering Committee. Through a process of emergency teleconferencing, discussions take place and assessments are made as to what level of behavioral support is required and necessary to provide needed psychological first aid and critical incident stress management to impacted IAFF members. What Are the Psychological Interventions and Activities a CISM Team will be Expected to Provide? Numerous research studies now suggest that the most efficacious early intervention stress management approach is “Psychological First Aid.” Psychological First Aid is an evidence-informed modular approach to assisting traumatized individuals in the immediate aftermath of disaster and terrorism. Psychological First Aid is designed to reduce the initial distress caused by traumatic events, and to foster short-and long-term adaptive functioning. For emergency responders who are still working and actively involved in the crisis/rescue phases of a disaster, the structured Mitchell Model of Critical Incident Group Debriefing (CISD) is no longer recommended as a routine practice. How Were the Above Goals of ‘Psychological First Aid’ Operationalized During the Gulf States Deployment? 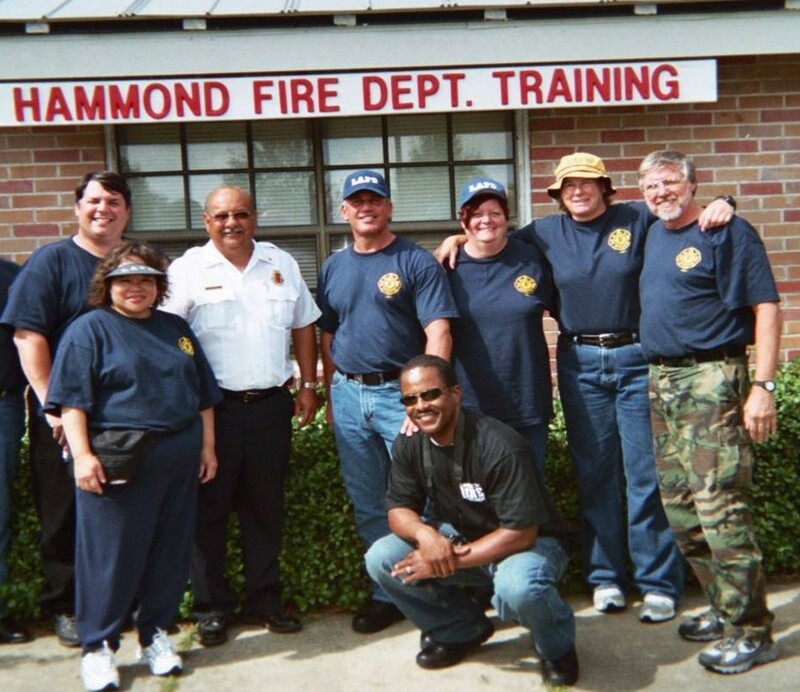 Given that CISM deployments to Hurricane Katrina were taking place within the first week to three weeks after the catastrophic disaster, fire personnel were still operating in the rescue / crisis mode. As stated earlier, structured debriefings were not appropriate to this phase. Further traditional ‘one-on-one peer counseling’ sessions were also not appropriate. Traditional ‘one-on-one’ Peer counseling, in the best of circumstances, takes place in a non-emergency mode and the Peer providing the counseling is known and trusted by the individual receiving that form of support. Given that the Peers responding to the Gulf States were from out of state and were unknown to the local departments and their members, this kind of close, personal talking and sharing would not be expected or immediately appropriate. As stated in the PFA guidelines and goals for psychological first aid, it is of primary importance to first establish trust and security by focusing on and attending to the hierarchy of basic needs presented by the impacted members. Trying to move quickly into a ‘therapeutic mode’ when you have not first established trust, credibility, and a compassionate presence is a formula for disaster and could potentially psychologically harm those who you have come to help. Individuals or teams who have attempted to by-pass this basic tenet of trust and sensitivity to basic needs find themselves the recipients of anger, mistrust and most times banishment from interacting with uniformed personnel. This was a hard lesson learned from our 9/11 deployments. Luckily, we were able to recognize that traditional CISM model was not applicable in a fluid rescue and recovery phase. 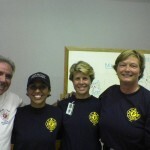 Within hours, IAFF CISM teams at Ground Zero were able to modify the approach and move the entire direction toward a focus on helping members to meet basic needs utilizing the psychological first aid model. It is essential that the activities the CISM team members participated in be seen as a means to a particular end. 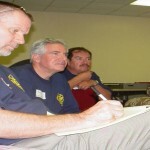 Viewing the activities or “missions,” whether it is delivery of bread and water to a fire station, delivery of financial aid ($500.00 checks), or helping with blood draws, as a static ‘sole purpose’ activity — completely misses the modular, comprehensive nature and design behind Psychological First Aid. 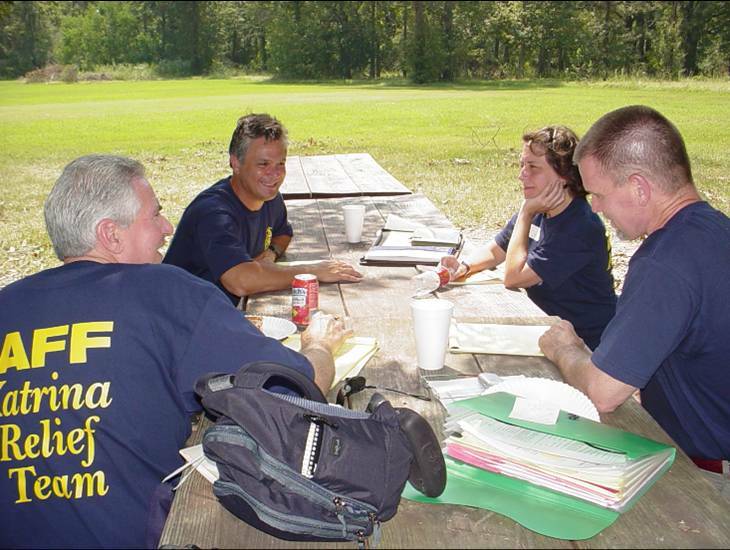 By embedding CISM team members with other IAFF recovery personnel (including other agencies) in the numerous assigned joint missions, the CISM teams were able to accomplish their intended goals. By focusing on providing and assisting with the basic human needs and requirements of impacted personnel, the foundation for trust, credibility, and hope was developed. When mutual trust is established within an environment of helping individuals to meet their basic needs for food, shelter, and reconnection with family support, the primary initial goals of Psychological First Aid are accomplished. This foundation then becomes the springboard for further Peer Support opportunities, including providing psycho-emotional education about normal and expected reactions, active listening, and assessing and determining future psychological and family needs. 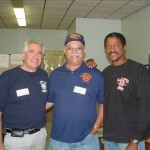  The 18 missions took LAFD Teams from Baton Rouge to Port Arthur and Orange, Texas; Gulfport, Biloxi, and Pascagoula, Mississippi; Sulphur, Lake Charles, Lafayette, New Iberia, Morgan City, Houma, New Orleans, Algiers, the 9th Ward, St. Bernard Parish, Jefferson Parish, Chalmette, Slidell, Bogalusa, Mandeville, and Hammond, Louisiana. 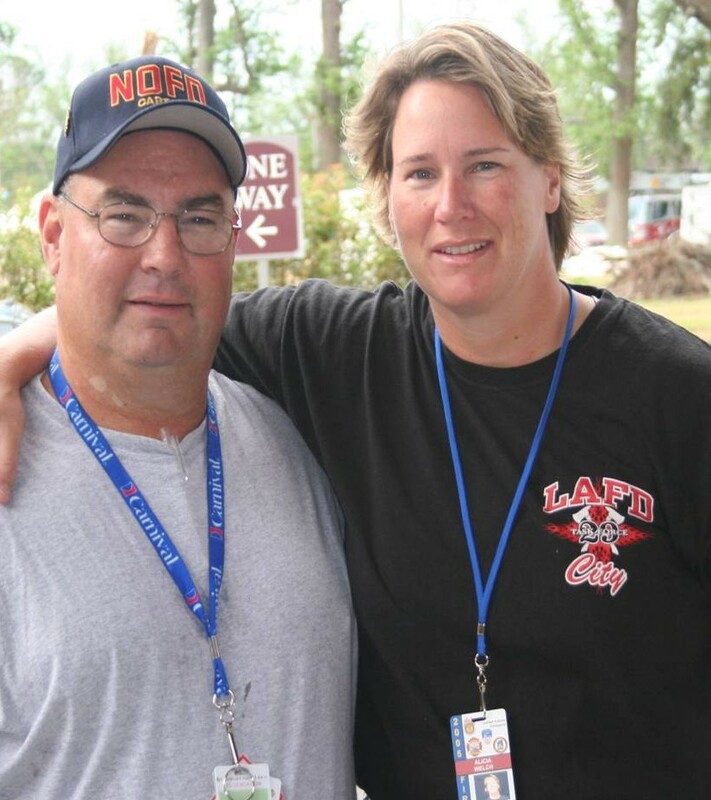  LAFD Team Clinicians (Team 1 – Dr. Scott & Team 2 – Linda Boyd) provided approximately 25 individual crisis counseling sessions with highly impacted personnel. 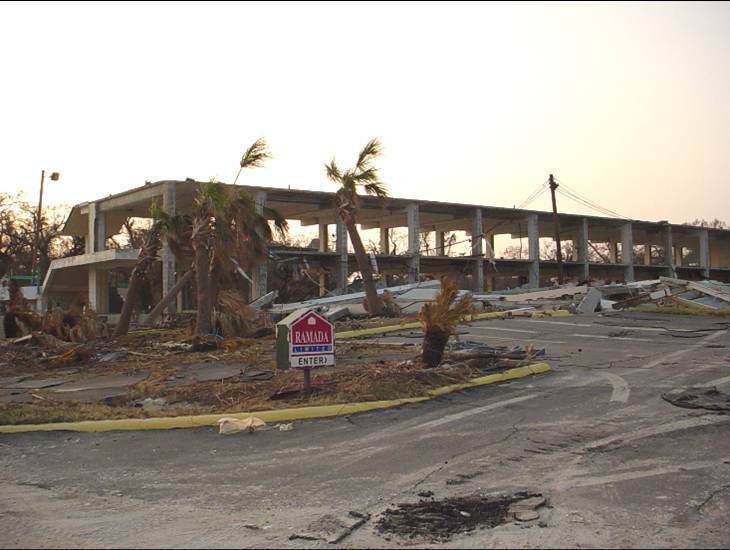 Hurrican Katrina began her destruction along the Gulf Coast of Louisiana at 6:00 a.m. August 29th. 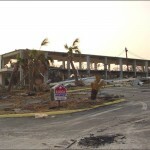 More than 50 IAFF affiliates and their members (approximately 5000) throughout the region felt the brunt of her category four-hurricane force winds and rain. Although many IAFF members evacuted their families in the days before the storm, and suffered total destruction of their personal property during the storm, they did not leave their posts, working before, during and after the hurricanes to protect their communities. Under the leadership of IAFF 14th District Vice President Danny Todd an Operations Command and Relief Center was established at the Zoar Baptist Church in Baton Rouge, Louisiana. 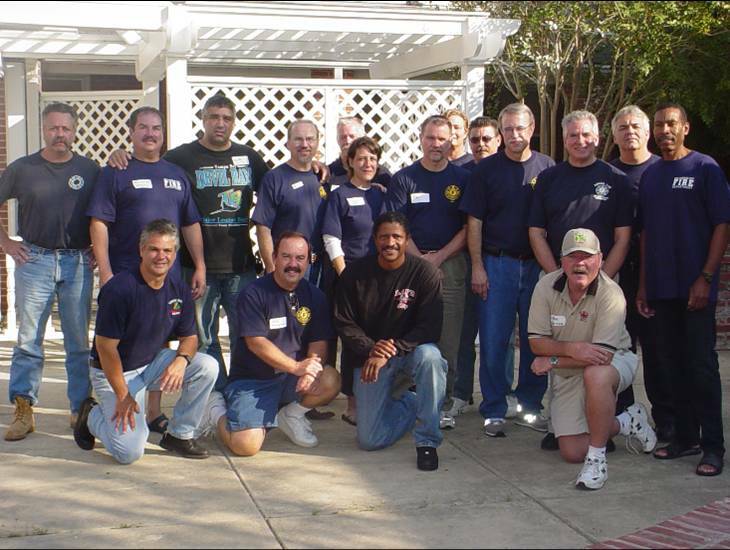 More than 100 IAFF representatives at the Comand Response Headquarters assisted thousands of IAFF fire fighters and their families in the critical days and weeks following Hurricanes Katrina and Rita. 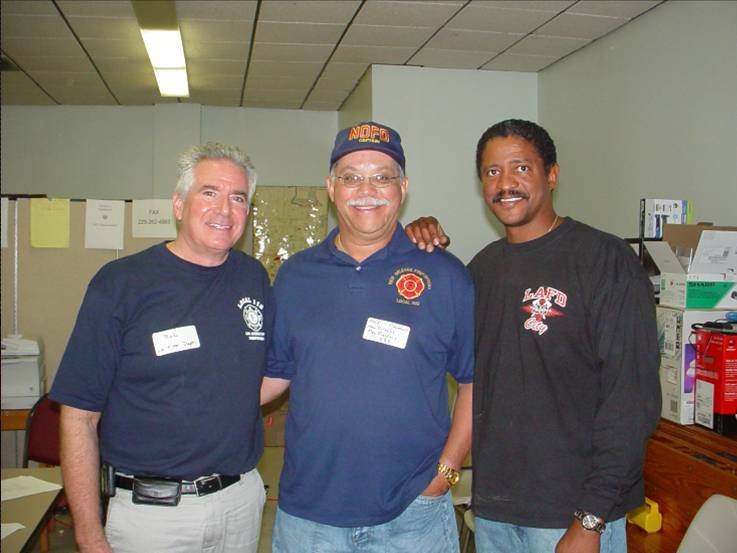 Dr. Scott and The Los Angeles Fire Department’s CISM team played a vital role during the IAFF Relief Operation in providing psychological support and assistance to the thousands of impacted IAFF members. In what has now been labeled the worst natural disaster in U.S. history, the Los Angeles Fire Department can be proud that they were well represented well in this massive effort to support and care for their IAFF brothers and sisters in the impacted Gulf region. According to recent reports from IAFF Staff who are in touch with the various departments in the region, the conduct, professionalism, and work ethic of our teams has left a lasting positive impresssion on the hundreds of firefighters who we visited and supported. Quote by Doug Hague – firefighter Local # 1469, Pasacagoula, Louisiana.